Sadly there are only 24 hours in the day. And we has humans need sleep to function. Which means when you’re trying to get more work done you’ve got to find ways to work smarter not harder. 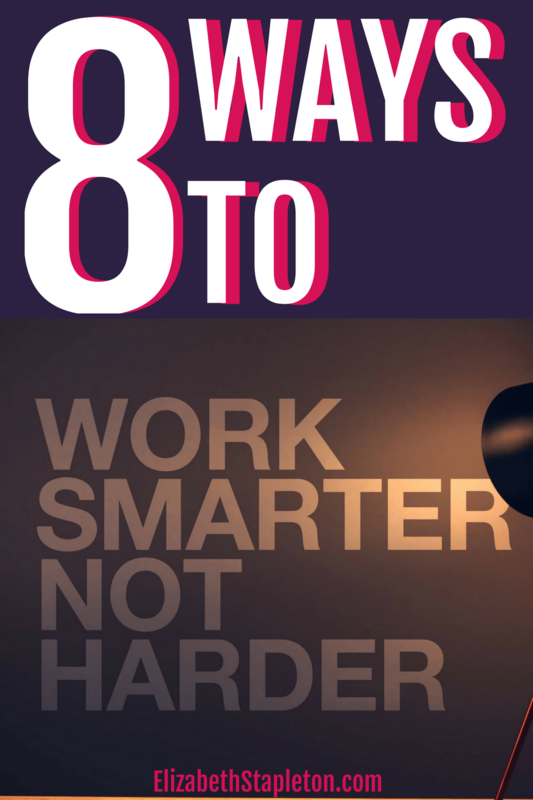 Here are 8 ways that you can work smarter not harder. First, do be aware of what you don’t know and then go ask an expert. It’ll save you hours of time trying to figure it out and quite possibly save you from screwing it up. A great example of this was when I change themes. In my previous theme, I used the shortcode, [spacer] to have more space between paragraphs. My new theme not only didn’t need the extra space, but it didn’t recognized the shortcode, which mean readers could see [spacer] after every paragraph in every post. After manually going through 30 posts, I finally wised up, I thought there just had to be a better way to do this. So I asked Grayson Bell, WordPress Guru, turns out there was a much better and faster way to get rid of that [spacer]. I just needed to download the plugin, Better Search and Replace, then search for [spacer] and replace it with a blank space. It saved me hours of time. It just took two seconds of asking the question and receiving answer from Grayson and all the sudden instead of spending hours and hours, if not days going through manually deleting [spacer] from hundreds of posts. Instead it took all of five minutes to download the plugin, install it, and run the program to get rid of all the “[spacer]s”. If that’s not working smarter rather than harder, I don’t know what it is. Having a plan before you dive into a project is one the easiest ways to ensure you are working the smartest way possible and to prevent mistakes.Had I had any semblance of the plan when I first started my blog I probably wouldn’t have had to fix so many things since then. I wasted a lot of time by not having a plan. Right now, I’m working on completely overhauling my email marketing system. And as much as I’m dying to just dive in and start writing new things, I know that I can’t do that until I have a solid plan of how I’m going to accomplish my overhaul. And right now I don’t have that yet. 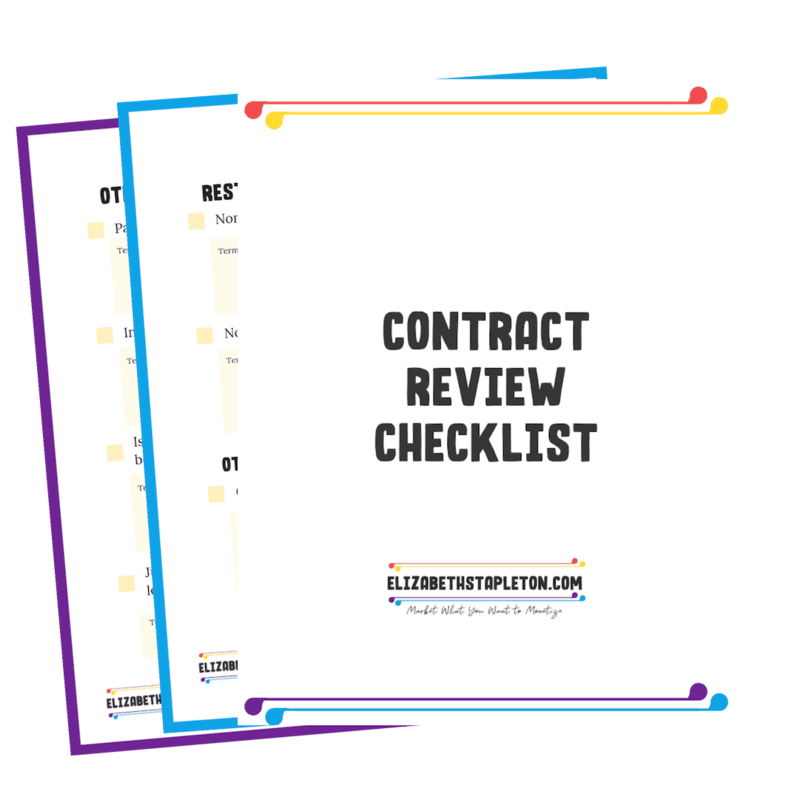 It’s taking time to ensure I have the right plan in place so that I don’t have to go back and once again fix my email marketing system. Like I said, it was a great short term solution but it didn’t ultimately wasn’t helping to serving my readers the best way possible. One of the things I’ve been working on that started when I was taking Elite Blog Academy, is organizing everything in one place. Before I used a combination of Asana and Google Sheets and files on my computer, but it was difficult to remember where everything was find it when I needed it. I always feel like I was spending more time looking for things that I was actually doing work. So right now I’ve been working to consolidate everything in one place using Airtable. Airtable is free and I’m obsessed. It lets me have a spreadsheet view of everything, so I can pull all my Google sheets stuff in there, and also to me have a Kanban similar to a Trello board, and I can also view by date so I can see a calendar everything as well. So I’m actually able to change the view depending on what I’m needing to look at, which is awesome. I’m also able to attach files, just like I was able to in Asana. Now this is a little embarrassing to admit, but I’ve lost many of my freebies in various files on my computer and different versions etc. It seems like I could never find the up to date version. I would actually go to my site and download it from there when I needed to look at one of them. With Airtable I just have a spreadsheet with the link to the landing page and it includes the file of the freebie so I never lose them again. Airtable is one way I’m simplifying everything to get organized and keeping everything in one place. Blogging or running your own business can sometimes be a bit lonely because a lot of people in your life aren’t going to understand what it is you’re trying to do. Additionally, when you’re a company of one, it gets difficult and can sometimes be a struggle to make decisions because the people you normally would talk things through with don’t get it. And that’s why having some online friends, be it from a Facebook group, or a more formal mastermind can be life-changing. First, because they get what you’re doing. Second, they’re able to understand questions you’re asking and give you feedback and or ideas on how to do something or what you might try instead that could be better. Sometimes you just need someone to be like, “yes, do that!” or “no, that isn’t going to work, I did that before, try this” it can make a big difference in your business. 5. Always Ask, is there a better and/or faster way to do this? Next, always evaluate what you’re doing and ask yourself, hey, is there some better faster way I could be doing this? Sometimes you just have to take a step back and look at the bigger picture and then do a little research and you’ll find a better way. Because when you’re knee-deep in it working through the work it can be really tedious and so when you take a step back and ask yourself that question you may actually come up with a better way. Since you now know what has to be done. So take a step back and look at the big picture, then ask yourself if there’s a better way you could do it. Technology can very much be your friend when it comes to running your own business. Because we are only human and we have a limited number of hours in a day and when you’re starting out you maybe can’t quite afford to hire help. However, hopefully you can afford some technology help. Software solutions usually cost less than hiring another person right out. But they can save you hours and hours of time. These tools don’t necessarily have to be paid either, there are lots of free tools that will help you automate so look into those as well. For example, Twitter is something that is almost completely automated for me. Seeing as I run 2.5 sites (2 blogs and I’m one half of a podcast) the reality is I just don’t have time to be promoting everything on Twitter Manually. Not that the automation is noticed. My podcast partner and I split promotion duties and Twitter is one of mine. Now so far I’ve been sick for most of the year and just barely keeping my head above water to get work done. So I recently thanked her for picking up the slack and killing it. She responded that what I had been doing with Twitter was great. Turns out that when I set up the Twitter account I also had set up some free automations that I forgot about, these automations automatically post any new episodes and other’s content as well. So even though I haven’t done anything with Twitter because I’ve been sick and it’s been low on the priority list, it’s still been going, and it’s still been active in helping to promote our new podcast. So when you really just are at your limit of how much you can do, remember that technology is your friend and invest a little bit of money into technology if you must, it’s worth saving your sanity to let things be automated. Once you know you have a system in place that works, stick with it. While it’s always good to see if there’s a way to optimize something, figuring out that stuff takes time and the optimization may not be worth the time you spend. Which is why if something works well enough, it’s best to stick with what you know works. One example would be invoicing. So I’ve tried invoicing on multiple platforms and there was always something that didn’t work well. It wouldn’t let clients pay via credit card, or wouldn’t let me know when the invoice had been viewed etc. So once I found one that worked really well for what I wanted to do, I stuck with it. By the way, it was and.co the free plan, in case you were wondering. And.co allowed me to invoice clients and have them pay by either credit card or PayPal. And for that reason I stuck with them, also it doesn’t hurt that And.co is free. It’s not to say I’ll use it forever, but I’m not going to go looking for something better, until And.co stops meeting some of my needs. The flipside of number 7 is if you know something really isn’t working well, don’t stick with it. Look for ways that it could be better and start trying them out and implementing. Chances are you’re not the first person to struggle with this and someone will have an answer or idea that you could test out, which is when you go to work smarter way number 1, ask an expert. If you’re thinking there has to be a better way to do something, there probably is. Don’t be afraid to ask an expert or bounce your ideas off a friend, and be sure to have a plan before you dive in to your project. Finally, save yourself time by automating tasks and be open to trying new solutions.